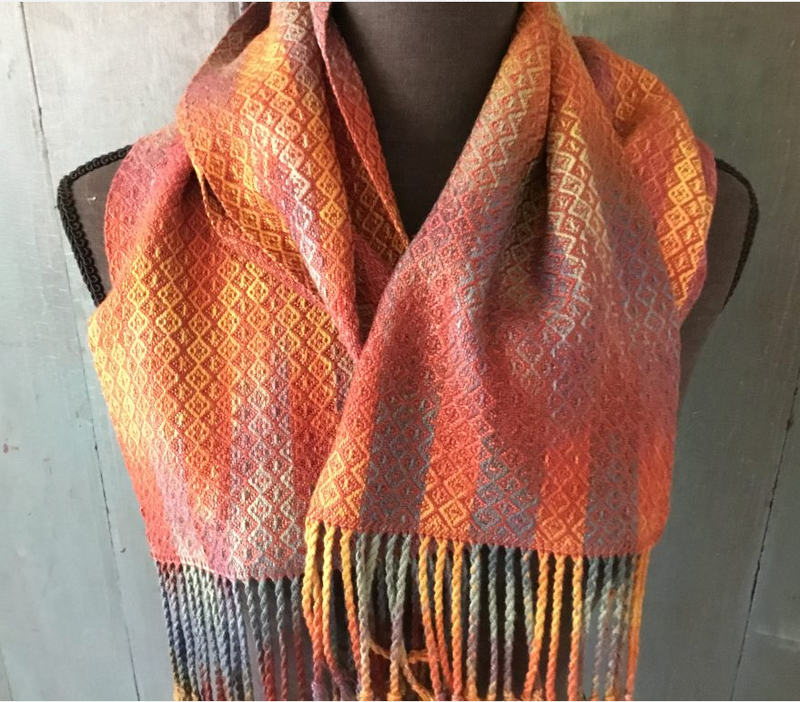 “After all my years of weaving, I have found a new passion; dyeing yarn and cloth that I can use in my weaving and textile projects. Most often, I choose to weave with hand dyed yarns. I have to give credit to the fabulous teachers who have coached me along the way; both Kathrin Weber of Blazing Shuttles fame and Su Butler are two who have had a huge influence on me. 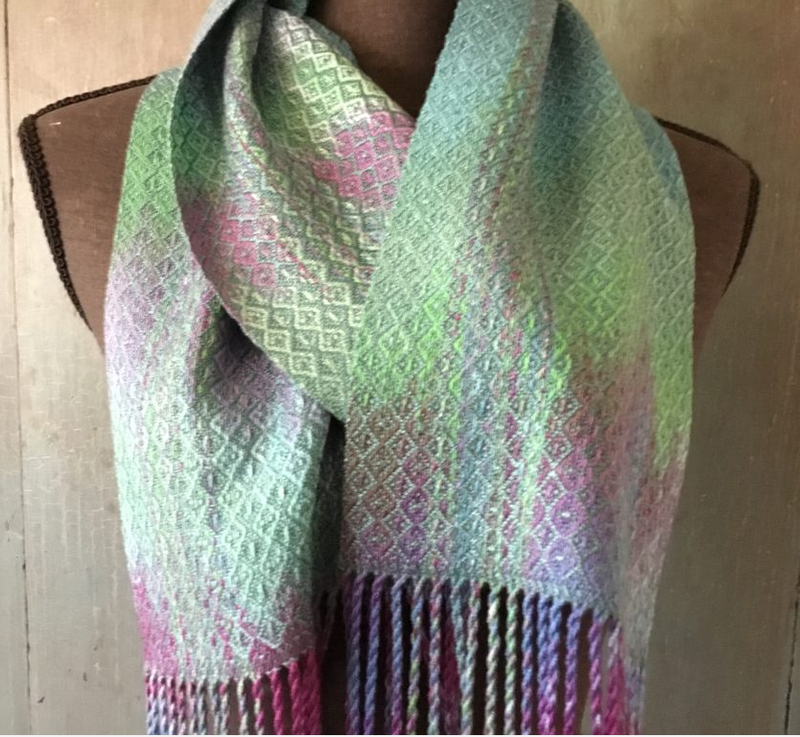 Although I will use commercially dyed yarns in my projects, I’m much happier using yarns that I have dyed or that I have purchased from another artist.